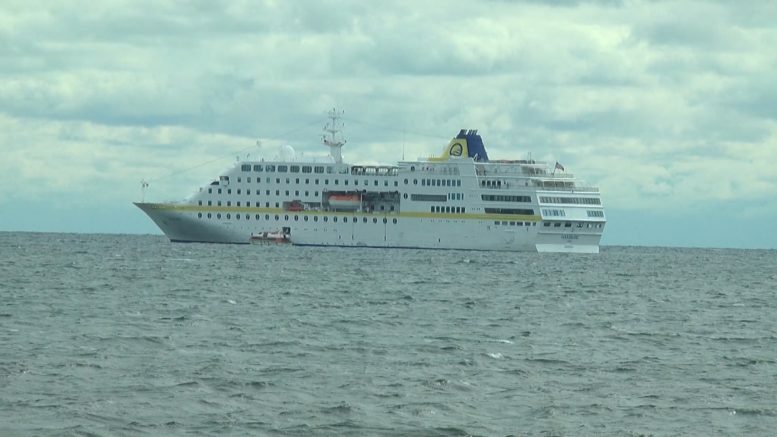 (Photo Courtesy/Elijah Baker) The MS Hamburg sits just outside of Alpena as international tourist made their way into port. Alpena, Mich. — Great Lakes cruising is beginning to take over the Sunrise Side. Last year, we saw massive ships stop in Alpena. Tomorrow night you can learn more about the cruising industry and how it effects small port communities like ours. Michigan’s Office of the Great Lakes Senior Project Administrator Michael Beaulac will present the history of Great Lakes cruising and what is considered to be the golden age of the industry. His research has come to unveil some of the social and economic implications of these massive vessels. Not to mention that Michigan has very unique cultures at every small port.